The Genoa Zip Around Top Handle Leather Document Case is a slim, lightweight, easy to store and carry document case. This is the perfect case for transporting important papers and documents to an event or meeting in an elegant and fashionable style. Stand out above the crowd and distinguish yourself as the true professional you exude. Laptop compatible up to 16” screen. Features 7 Organizational Pockets with 2 Pen Holders, Interior Zippered Pocket, Double Top Retractable Handles. Exterior Dimensions 15.75"(L) x 11.25"(H) x 2"(W). Interior Dimensions 13"(L) x 10.25"(H) x 1.25"(W). The Genoa Zip Around Top Handle Leather Document Case is part of our Tony Perotti Italico leather collection, made from Italian adult Bull hide Full Grain leather, providing a durable, stronger and longer lasting leather that is smooth to the touch with a shiny glossed finish. 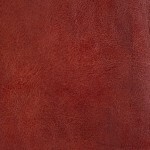 The cool Italian weather prevents any flea or tick irritation to the animals attributing to the top quality and purity of the leather, devoid of any scratches or bites on the leather. Tanned in a heavy coating of different eco-friendly vegetable oils to prevent everyday scratches and blemishes, the natural surface of our full grain leather burnishes and beautifies over time. Our Italico collection products come in a signature plaid interior lining for added style and fashion. Laptop compatible up to 16". Features interior zippered compartment, three(3) business and credit card holders, two(2) pen holders, two(2) statinary organization pockets, and two(2) large pockets. Dimensions: Exterior: 15.75"(L) x 11.25"(H) x 2"(W). Interior: 15"(L) x 10.5"(H) x 1.5"(W). Available Colors: Brown, Cognac. Comes with Limited Lifetime Warranty.